Welcome to the homepage of the International Group for The Study of Lithium Treated Patients (IGSLI). Here you will find an introduction to the wide range of research activities and publications of IGSLI. to work in close cooperation with other research institutions and professional associations on an international level. 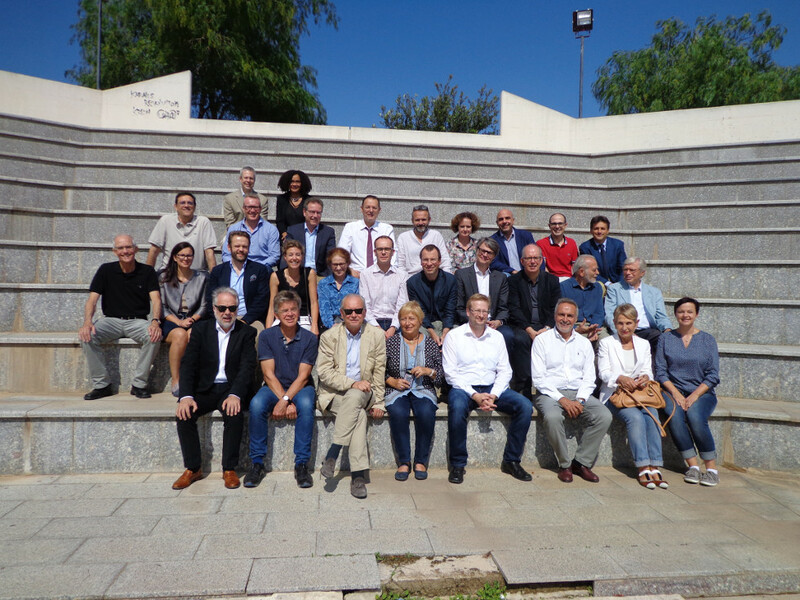 Through this website, we hope to provide you with a picture of the dedicated professionals who work with IGSLI and the ways in which they are contributing to the medical profession and the advancement of research and care in affective disorders. 1st ed. 2016, XIV, 158 p. 17 illus., 15 illus. in color. This book is a practical, up-to-date guide to the correct use of lithium for the short- and long-term treatment of mood disorders. 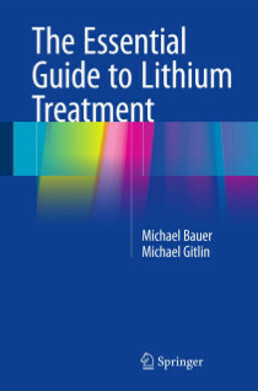 Among the subjects addressed are the pharmacology and mechanisms of action of lithium, its use for maintenance treatment, the role of lithium in the treatment of mania and depression and in suicide prevention, further clinical indications, the administration of lithium during pregnancy and the postpartum period, and adverse effects and their management. Relevant backgroundinformation is provided on the diagnosis, classification, and natural course of mood disorders, and an overview of other treatments for bipolar disorder and major depressionis included. Lithium is the essential medication for patients with mood disorders.The evidence of its efficacy in maintenance treatment is acknowledged in all major international treatment guidelines for bipolar disorders and, when used correctly, lithium unquestionably produces the most dramatic benefits of any medication in psychopharmacology. This essential guide is written by two international experts in the treatment of mood disorders who have more than 25 years of experience in the use of lithium and have authored numerous scientific articles on lithium. 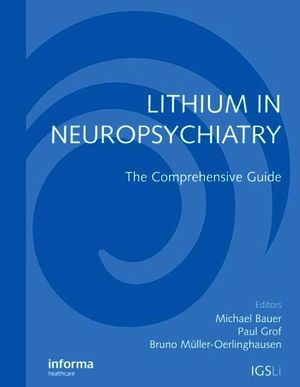 LITHIUM IN NEUROPSYCHIATRY offers a comprehensive outline of the many uses of lithium in neuropsychiatric disorders as well as indications for its use in internal medicine. It is intended primarily for use by clinicians – physicians and other healthcare workers who use lithium to treat patients suffering from these disorders. Thus, it addresses various aspects of effective and safe use of lithium in clinical practice. But because the book also provides an up-to-date description of basic neuroscience relevant for the use of lithium and of the variety of lithium’s effects in the brain and human body, it will also serve interested researchers. The contributors to this book are all experts in their fields and internationally recognized for their significant contributions to lithium research. IGSLI is not responsible for the availability or content of the external Internet sites, nor does it endorse, warrant or guarantee the products, services or information described or offered at these other sites.